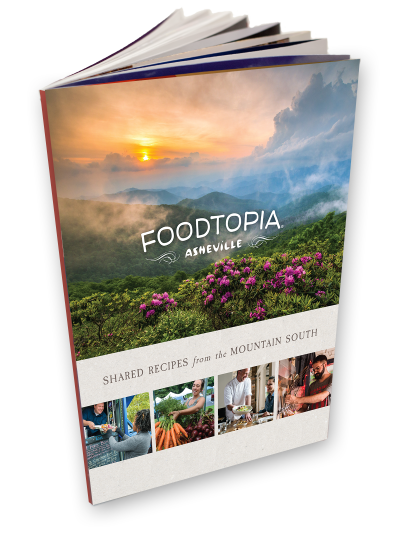 Make your home a Foodtopia with this free cookbook with recipes from Asheville restaurants and farms. Download our free Asheville Cookbook with recipes from local restaurants and farms. This little book serves up a taste of Asheville and its Foodtopian Society with a sampling of innovative recipes from Appalachian farmers and chefs, and a bit of helpful information about the foods and foodways of the area. We hope you enjoy this peek at the Mountain South and try these recipes at home. Then bring your appetite (and adventurous food-loving self) to Foodtopia, where you will find sustenance for body, soul, mind and spirit.